Haute Epine offers bed and breakfast accommodation in Torquay. Devon. It is a Victorian building dating from 1881 and situated in the heart of the English Riviera. It is an extremely comfortable small Torquay Guest House offering bed & breakfast with optional delicious evening meal, where you can be assured of a warm welcome from your hosts Gerry and Susan. 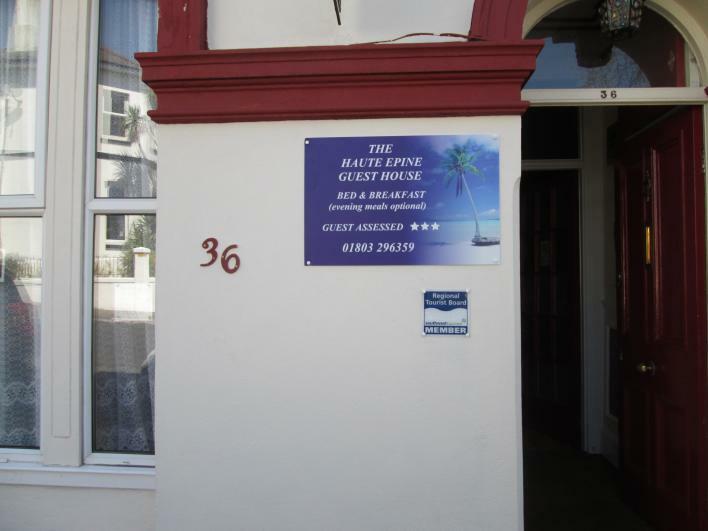 The Guest House has five letting rooms in total. A single en suite, three family rooms en suite, one double bedded en suite. All the bedrooms have ceiling fans so you can cool the room to your satisfaction in the summer & an electric convector heater so you can choose how warm you are in winter. 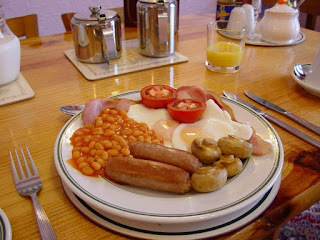 Your hearty full English breakfast is served in our cosy dining room, where later in the day we serve our delicious evening meals. We take great pride in offering excellent home cooked cuisine. All meals are prepared on the premises using fresh local produce whenever possible. You can relax & unwind in our comfortable lounge whenever the mood takes you. We have a range of DVD’s & board games available for your entertainment or perhaps you would prefer to choose a book from our library. It's the ideal place to rest after a long day exploring or you could have a look through the various leaflets about what there is to see and do in the area and plan your outings to suit. Haute Epine is a great base from which to visit some of the many places of historic interest & outstanding natural beauty which are so close to hand in this lovely part of the West Country.